The Fogg Museum with American and western European art, the Busch-Reisinger Museum with Germanic and northern European art, and the Arthur M. Sackler Museum with Asian, Islamic, and Indian art share administration but previously operated in separate buildings. In 2006, a renovation and expansion project was announced to renovate the facilities and combine the three museums. Renzo Piano was selected as the architect and construction began in 2008. The red brick exterior of the Fogg’s 1927 Georgian Revival-style building has been preserved, and its original travertine-vaulted courtyard is a significant feature of the renovated space. 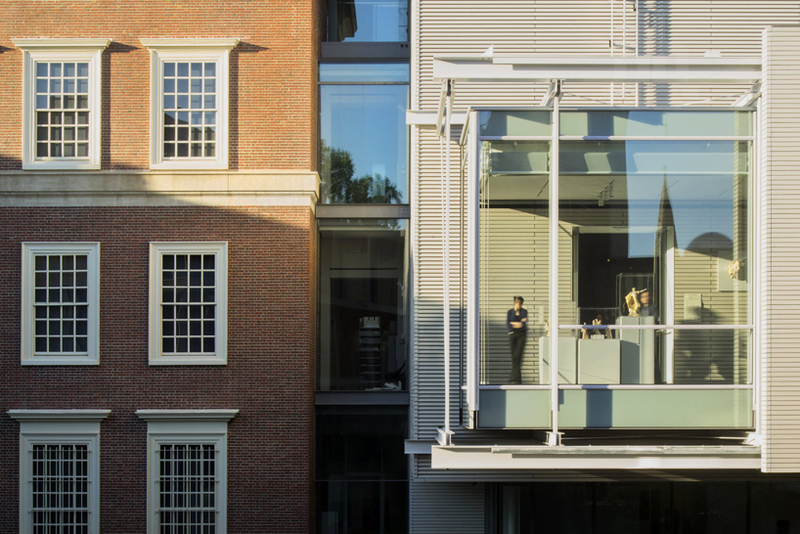 An entirely new structure, covered in New England-y gray cedar, expands the museum to a total of 240,000 square feet with 43,000 square feet of gallery spaces, a public courtyard, shop, café, theater, classrooms, and research spaces. All of this is contained under the transparent glass roof, which is the most distinctive characteristic of the new facility. Carefully controlled natural light is a hallmark of Renzo Piano’s museum buildings. 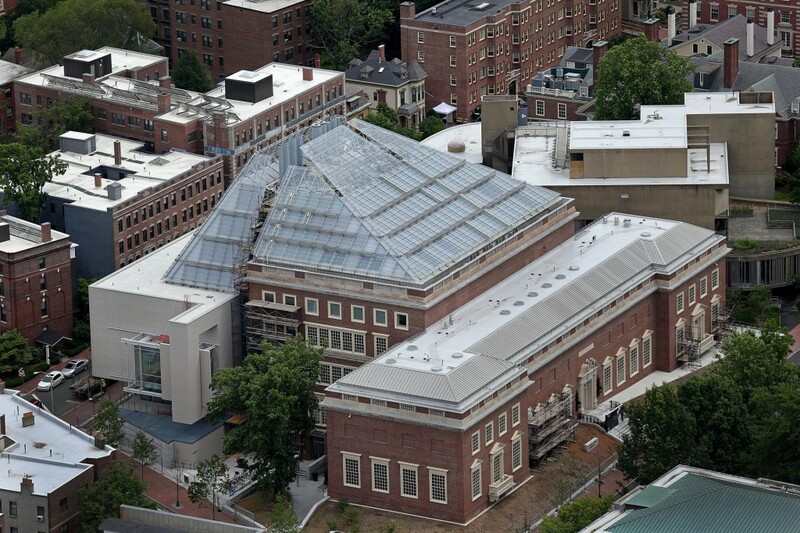 At Harvard, the pyramidal glass roof above the historic building streams daylight onto the arcaded courtyard of the original building and into glass-walled spaces of the new building’s upper floors. A system of 1,800 glass louvers over triple-insulated glass panels and automated shades protects artworks from direct light and ultraviolet rays. 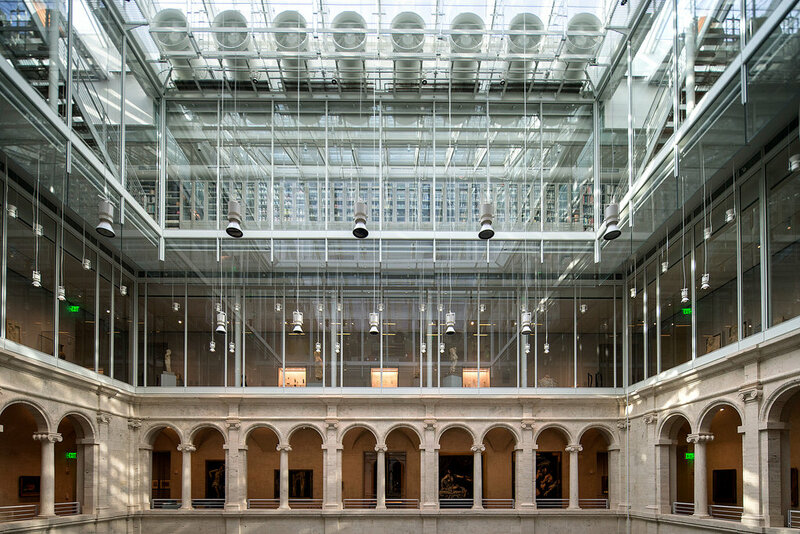 Piano has called the glass roof a “glazed lantern” and a “light machine.” Harvard’s president, Drew Faust, calls the museum a “teaching machine” for visitors to learn about the newly combined collection of 250,000 objects. 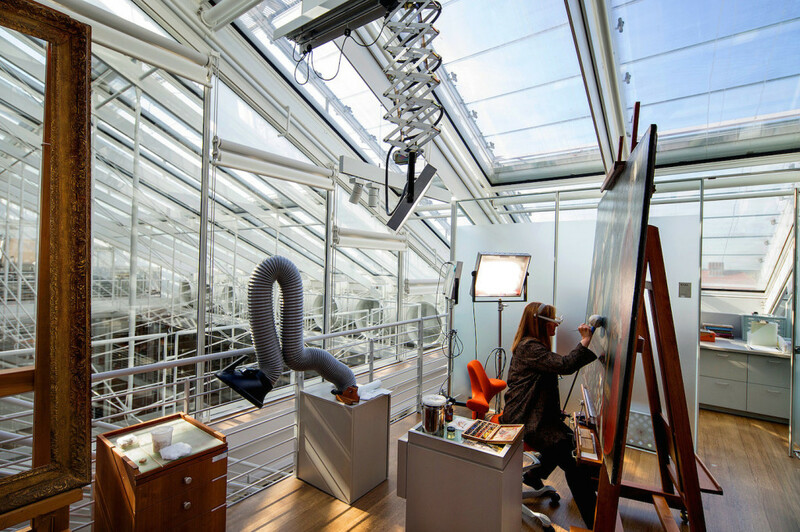 The Art Study Center allows visitors to request works for close and extended viewing; the Lightbox Gallery provides technology to further explore museum collections and archives; the Special Exhibitions Gallery presents new research on artistic practice; the University Galleries allow professors to set aside specific artworks for study in their courses; and, on the top floor, the glass-walled Straus Center for Conservation and Technical Studies lets visitors see conservators and researchers at work. The new building, and its programs, extend accessibility and transparency. 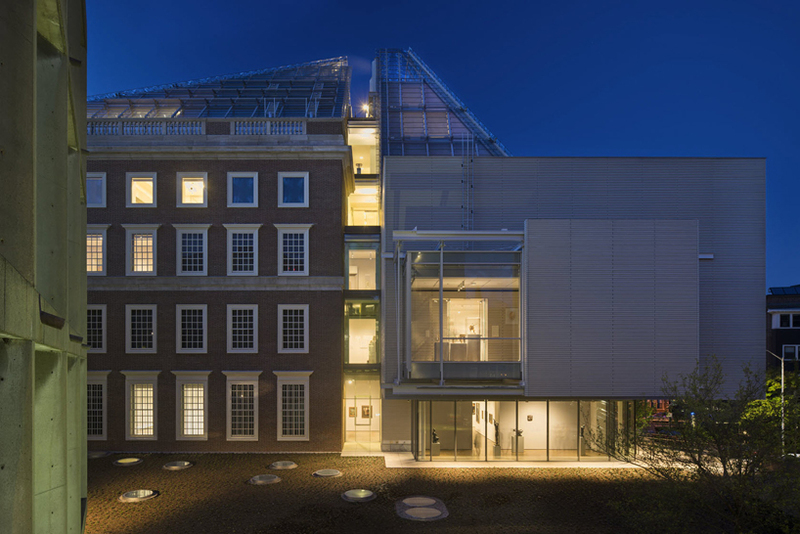 The Harvard Art Museums will open to the public on November 16 after six years of renovations and expansion. The project is estimated to have cost around $350 million, including $250 million for renovations and $67 million for operating endowments. - Renzo Piano has designed no less than 25 museum projects, including the Broad and Resnick pavilions at LACMA, the Menil Collection in Houston, the Modern Wing at the Art Institute of Chicago, the Musée d’art Contemporain in Lyon, and the Fondation Beyeler near Basel. - The Straus Center has a collection of over 2,000 pigments that can be used for restoration and are now visible through glass walls. 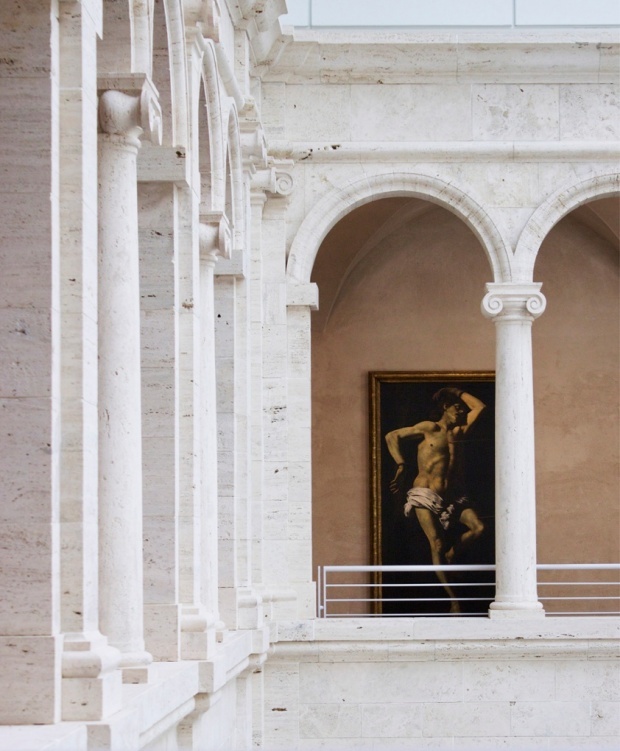 - The Fogg building’s Calderwood Courtyard was designed after the façade of the canon’s house of the 15th-century church of San Biagio in Montepulciano, Italy.